Cisco is increasing its investments in the partner space, according to the company’s global partner organisation senior vice-president, Wendy Bahr. Bahr was speaking at a keynote session at the company’s annual Cisco Partner Summit in San Diego this year. She said unlike the usual one partner summit per year, this year will see the company roll out guiding principles about its investments over two of its partner summits. The second partner summit is expected to be in November this year. According to Bahr, to win and grow, there needs to be new benchmarks. She claimed securing digital assets, selling more solutions and professional services to drive value, sell Cloud and hybrid IT, and selling lines of business. “Partners that have adapted to these benchmarks are the most profitable partners. But what’s Cisco going to do to help partners evolve and how is it going to do so?” she said. Bahr mentioned Cisco will be evolving its partner strategy. “Value comes in many forms. We’re going to launch Partner Engage, that allows you to have personalised digital marketing, analytics, and campaign reporting; we’re going to simplify our Value Incentive Program to just four categories [product hardware, one-year license, multi-year license, and a perpetual license] and four payout levels based on those categories. “In terms of the software roles we spoke about at last year’s partner summit, partners have an option to play the role of a lifecycle advisor [launch on May 1], software integrator [launch on May 1], or software consultant [launch later in the year]. “Our Accelerating Cisco Ecosystem Sales (ACES) program will also be a focus, along with aligning our sales teams. We will continue to grow and be profitable together,” she said. Bahr also spoke about the importance of digitisation and adopting change. “Digital is going to enable partners and customers. It’s about businesses using digitisation to differentiate themselves and define strategies. We need to look at opportunities and identify new ways to leverage technology and accelerate growth. “Traditional benchmarks aren’t good enough; if we focus just on traditional measurements, we’re only going to get traditional results,” she said. 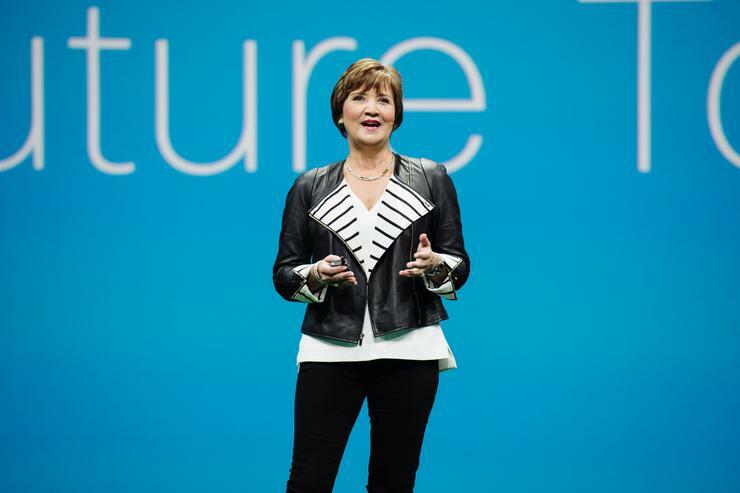 Cisco executive vice-president and chief financial officer, Kelly Kramer, also took to stage and spoke about Cisco’s investments into partners. Kramer also said Cisco’s commitment to partner profitability will not cease. “We will align what we drive for Cisco with our partners for growth. If we drive revenues and margins, we will pay it back to you partners. We will also invest in new ways to drive growth. It’s a win-win situation,” she concluded.